A well-built trimmer with an effective head in the hands of a professional can tear through weeds like a scythe cuts through wheat. Knowing what head to use can be a bit tricky, though, as it depends on your particular needs and also what kind of trimmer you're using. After some extensive research, I've narrowed the list down to five (the magic number). Whatever your unique situation, the best ﻿﻿﻿﻿weed eat﻿﻿﻿﻿er head for you may well be one of these five. What Can I Use A Weed Eater/Trimmer For? Swapping trimmer heads around can sometimes be a difficult task. Husqvarna's solution is to supply you with a simple tool that makes removing the old one a lot easier. It works a treat! If you find yourself replacing trimmer heads often, consider Husqvarna's Advance Trimmer Head as your next weed-eater. It's designed for dozens of hours of trimming and, if you take care of it, you can expect to get hundreds of hours of use out of it. The advanced trimmer head allows you to re-spool quickly, too, so you can spend more time trimming and less time being frustrated! The product doesn't come with a lot of string – only around 6' in total, so you'll need to purchase more if you've already run out. Apart from that, the Advance Trimmer Head is probably perfect for the average gardener. Includes a simple tool that helps greatly in removing the old head, as well as installing the new one. Only 6' of string included so you may well need extra if you're run out. Echo has been making top notch trimmer heads for some time, now. The '450 is one of their best offerings and there are some great features that set it apart from many others. It comes with adapters that will fit most premium trimmer brands. This saves a lot of head ache in checking for an exact match to your previous head. There's a lot less down time with this head too, as you can load your lines back into it, in less than thirty seconds. The split spool and heavy duty eyelets give this head excellent longevity too, and you're really getting some bang for your buck because you won't need to buy a replacement so often. If you have a limited budget, check out Echo's 400 model. It's older than the 450, but it still manages to do a fair job competing with the newer trimming heads. It's very easy to install which will save you a lot of frustration. You'll be a lot less inclined to send it back, too, which saves you even more money. 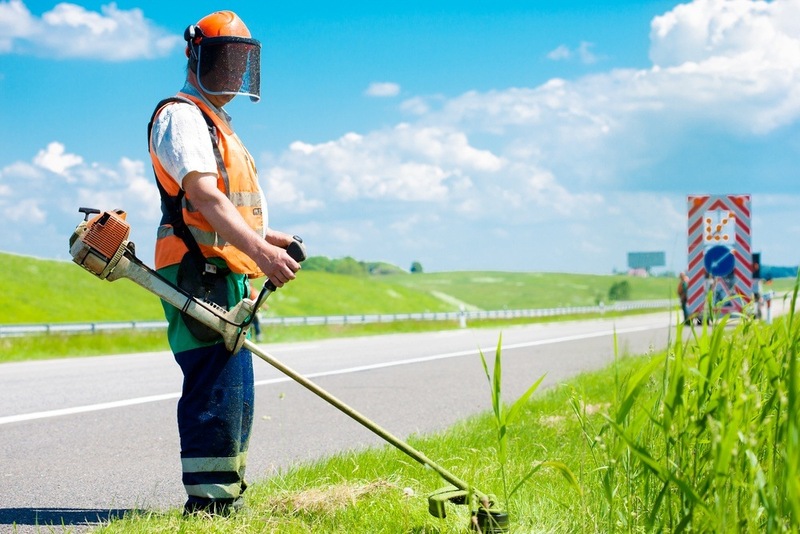 Weeding is made easy due to its great design and the fact that it's very lightweight. You won't feel like you've spent too long in the gym, and you won't need to keep stopping to unclog the lines. It's lightweight, which is actually very useful seeing as it's best paired with a larger, heavier trimmer. It's very easy to install the trimmer head. If you have a fair amount of experience with a trimmer and replacing the heads, consider Weed Warrior's Pivo-trim head. I have to tell you that the instructions that come with the Pivo-trim are not very helpful. If you don't have any idea what you're doing, you'll find it frustrating. With a little help from YouTube, you'll actually find it's very easy to install the Pivo-trim. It really deserves a close second place because apart from the unhelpful instructions, there are some awesome features here. The way the head cuts weeds removes a lot of the toll that can damage your string, which means your string and head will last longer. 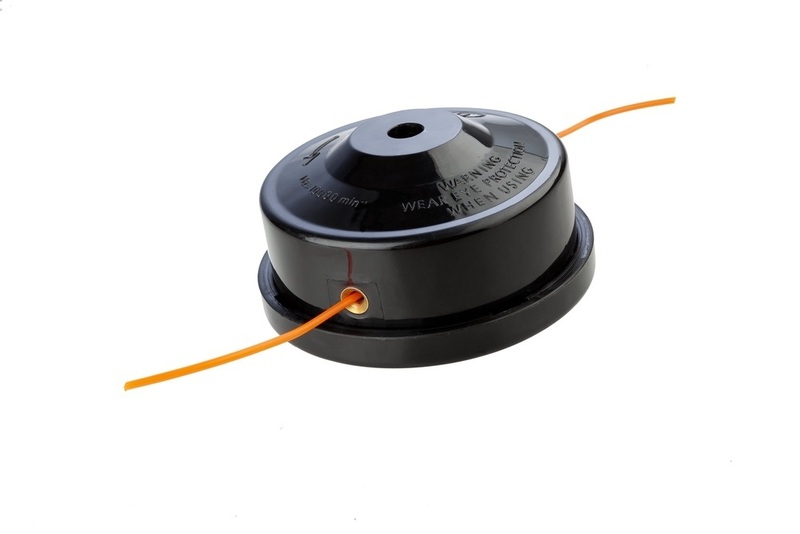 When you do need to replace the spool, it's as simple as the actual installation. The Pivo-trim is also useful at absorbing the shock you might get from bumping into hard areas in your garden, which further increases its lifespan. Not everyone has acres of land to trim. It's something I'm aiming for but I'm far from that yet! If you have a small-medium garden, you won't mind that this Husqvarna model only holds 13' of string. Husqvarna has made it difficult to get things wrong and there are even helpful arrows that show you which way to spool the string, potentially saving you a lot of time. 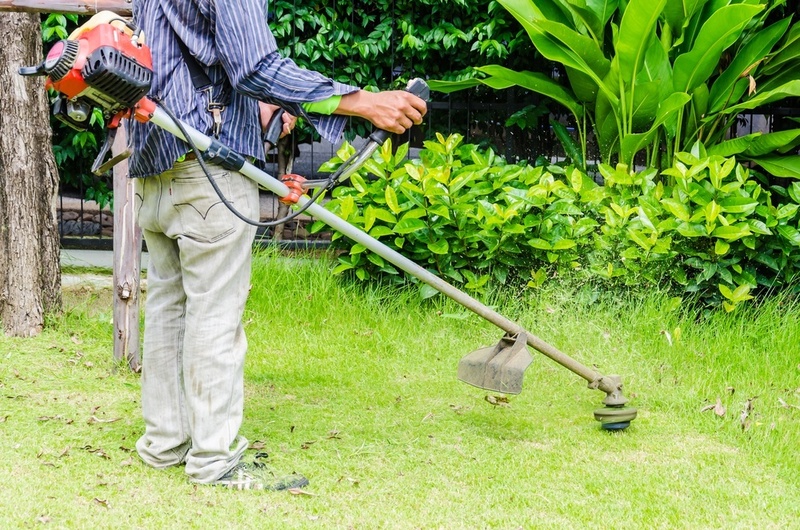 If you manage your own garden, a trimmer makes the work a lot, lot easier. If you own a trimmer, you're going to need a good head for it too. You can use a lawnmower for most of the garden and then your trimmer will perform the job of tidying everything up, like a nice, well-groomed haircut. 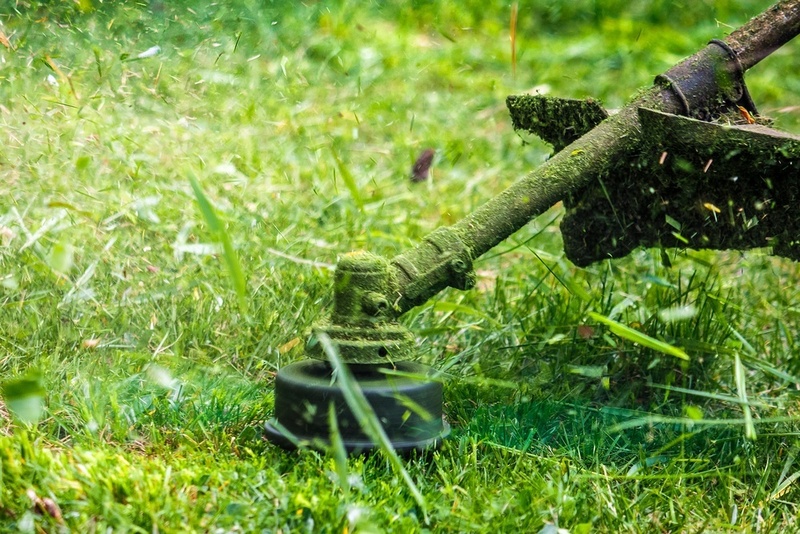 If you're a little stuck for cash, just owning a trimmer, but no lawnmower, will allow you to still get the same effect, with a little more work, but for less money. A good head with a decent motor on your trimmer will even allow you to get rid of thick brush without breaking anything! It's always a good idea to have a spare head lying around for your trimmer because I can't count the number of times I've had something run out or die on me and I'm left with half a garden to finish! There are a few different types of heads that you can use for your trimmers. Bump feeds tend to be the most popular heads because they're easy to use and dependable. It works with two equal lengths of the string being fed through the trimmer head. This ensures you're getting a decent cut. Your trimmer line will gradually be worn down as you're using the trimmer so you'll need some way to get the head to release more of the line. A bump feed operates by the user bumping the head on the ground to release more string rather than turning the trimmer off instead. This video shows how to operate a bump feed head. It's easier to cut exactly where you're aiming with a Bump Feed, but if you're not careful you can damage the spool and spring by slamming it. Automatic feeds are used by certain types of trimmers. As you might expect, the spool is automatically fed, as needed, by the trimmer, so you don't have to worry about it. It can make trimming faster, as long as everything works properly. Wear and tear will mean that one day you'll have to replace the head, or maybe the whole trimmer, and that means you'll need to set aside more time for trimming your garden! Take a look at this video to see how an automatic feed works as well as some general tips on operatin all trimmers. A fixed head is the last type of trimmer head and it has its own unique set of pros and cons. Rather than the whole spool being loaded into the trimmer, individual lengths of string are loaded one at a time, as needed. This works very well if you're using thicker, tougher string because if your string isn't durable, you'll find yourself stopping the trimmer to replace the string more often than you'd like. Apart from those differences, they're all useful for doing what a trimmer does best – trimming your garden. 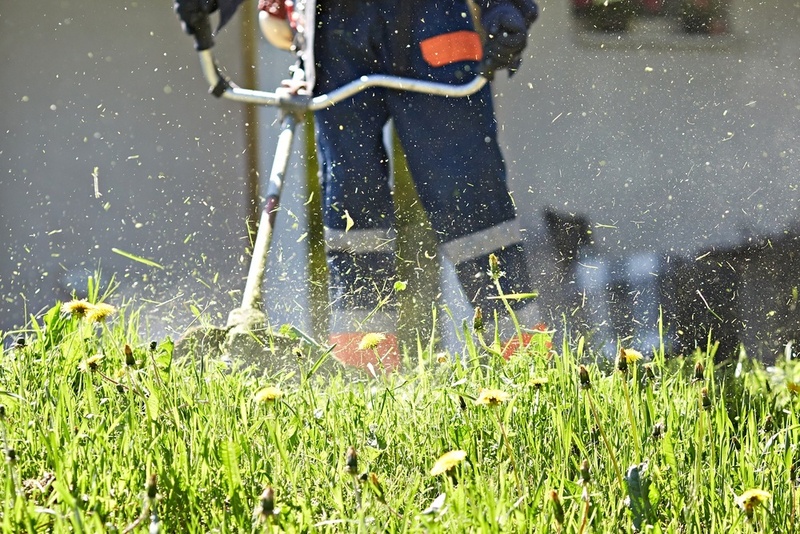 Plenty of people use trimmers to mow their whole﻿ garde﻿n and there's no reason you can't too, but they work best when used in conjunction with lawnmowers. The spool of string that is fed into the head is spun at high speeds. This makes the string stretch out and taught, like a child hanging on to a merry-go-round. This tension and the energy produced by whipping it around give the string the ability to cut through weeds, plants, and grass very easily. The short answer is "no", you don't. Trimmers are easy to use in general. The main problem you can encounter is if it's being used improperly or if the trimmer is too heavy and unwieldy for you to use. 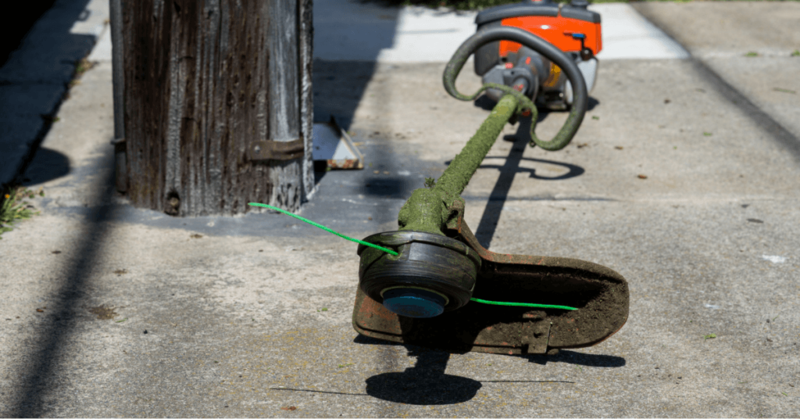 Check the ground for anything that might damage your trimmer. Rocks and bricks are the main culprits here. Your trimmer is powerful but it's just string at the end of the day and it's not going to cut through anything as dense as rocks and you might even send that kind of object flying into your windows. Wear Eye Goggles. This should really be a bare minimum for your safety gear. Your eyes can be damaged by debris that is flung upwards by your trimmer. If you want to be extra-safe, some sort of face protection will protect you from potential cuts and bruises. Make sure nobody else is nearby whilst trimming. Nobody else is likely to be wearing the same protective clothing as you are when you're trimming. Debris will shoot upwards at an angle and if somebody is in the sweet spot, it will be hitting them in the face. Protect your windows. If you have a vehicle nearby, or you're trimming nearby your house, a net will catch any debris before it reaches your precious glass, and save you from a possible argument with your partner! Keep your eye on where you're trimming. It's all too easy to be distracted for a moment. All of a sudden, that finely carved hedge becomes decapitated, or you've cut into your neighbor's bushes. You can use your weed eater/trimmer for sculpting hedges. Hedge cutters are preferred by some and you might be able to get a finer cut by using them, but a trimmer can be almost as good in the hands of a proficient user. Trimming the edge of your lawn is probably the most effective and best use of trimmers, in my opinion. It's a lot easier to control than a lawn mower and it's comparable to a hand vacuum versus a standard vacuum. You can also use it to cut the whole garden but the larger your garden is, the more you'll wish you used a lawnmower! You Should Match Your Head to Your Trimmer. To get the most out of the powerful heads, you need a powerful trimmer motor. Not all trimmer heads will fit all trimmers. Certain trimmers require an automatic feeder head. Most will use a Bump feed head though. If You Have a Large Area to Cut, You Want a Trimmer Head that Will Last You a Long Time. Otherwise, you'll be replacing it more often than you'd like to. You also want your trimmer head to hold a good amount of string so you don't have to change the spool as often. An alternative to that would be getting a trimmer head that's easy to replace the spools, and have plenty of spare spools on hand when you're trimming. Buying a Trimmer Head that's Easy to Install is Probably the Best Choice for Most, in My Opinion. It can be frustrating when you're struggling to install a new head and it can make you regret your purchase. If you're happy to look online for help via videos and articles, this isn't a big problem, though, as there's plenty of help. For me, Husqvarna's T35 is the best weed eater head to use. Most of the frustrations you can encounter during trimming are nullified by its fantastic features. It will last longer than any of the other heads. It comes with a very useful tool for removing and installing weed eater heads. The head also makes re-spooling easy. Several of the other heads I've reviewed share some of these features, but overall, especially when you consider the price, Husqvarna's T35 beats the rest. It doesn't come with as much string as some of the other heads, being only 6' in length. This can be a plus for many reasons though, as you can buy different types of string to fit your needs, whether you just have some simple weeding to do, or there's some thicker growth to tackle.